Serious adverse events related to IVIg treatment are unusual, and interventions can be taken to reduce the risk of anaphylaxis, congestive heart failure and renal failure. 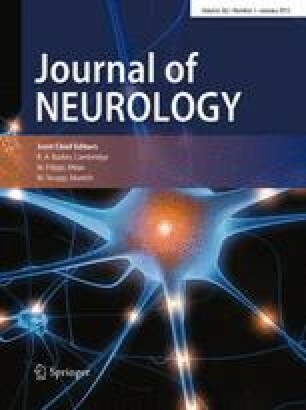 Stroke and other thromboembolic (TE) events have also been associated with IVIg administration but the risk factors are unknown. This paper investigates whether typical cardiovascular risk factors increase the risk of thromboembolic (TE) events during intravenous immunoglobulin infusion. This case-control study compares 19 patients (mean age = 71 ± 9 years) who experienced a TE event within 2 weeks of IVIg infusion with 38 age-matched controls who received IVIg without experiencing an event. No single cardiovascular risk factor increased the risk of TE event, but the risk was elevated when 2 or more cardiovascular risk factors were present (odds ratio = 1.39, 95 % CI: 0.45, 4.30) and became statistically significant when 4 or more risk factors were present (odds ratio = 10.50, 95 % CI: 1.91, 57.58). The 30 day mortality rate was high in cases (15.8 %) and controls (18.4 %) but not significantly different between the groups. The risk of TE events was increased in individuals with 4 or more cardiovascular risk factors, but, given the wide confidence intervals in our results, the degree of increased risk is difficult to predict. The data suggest that elderly, hospitalized patients receiving IVIg are at moderately elevated risk for TE events and 30 day mortality. Clinicians prescribing IVIg should carefully consider the risk of stroke and myocardial infarction in elderly patients with multiple cardiovascular risk factors, and this risk should be discussed with patients receiving IVIg. Prospective studies of TE events would most accurately demonstrate the incidence and risk factors for these complications.